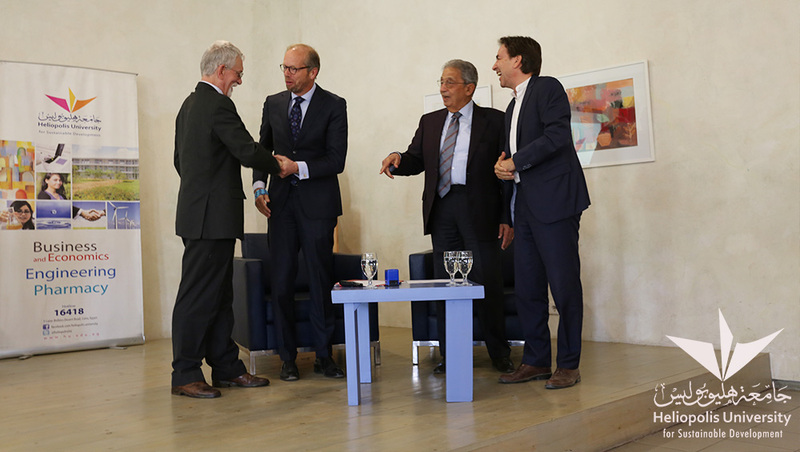 The Space of Culture at Heliopolis University in cooperation with the Center for Arab West Understanding hosted HE Amr Moussa, former Ambassador, Minister, and Secretary General of the League of Arab States (LAS) and the Dutch Ambassador in Cairo Mr. Laurens Westhoff. 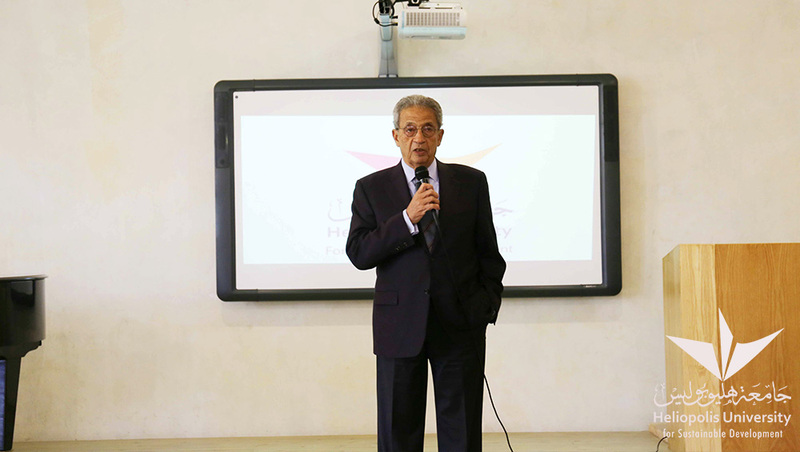 The event started with a short speech by Mr. Helmy Abouleish, Chairman of the Board of Trustees about the university’s educational vision and how it would contribute to a sustainable future for Egypt. 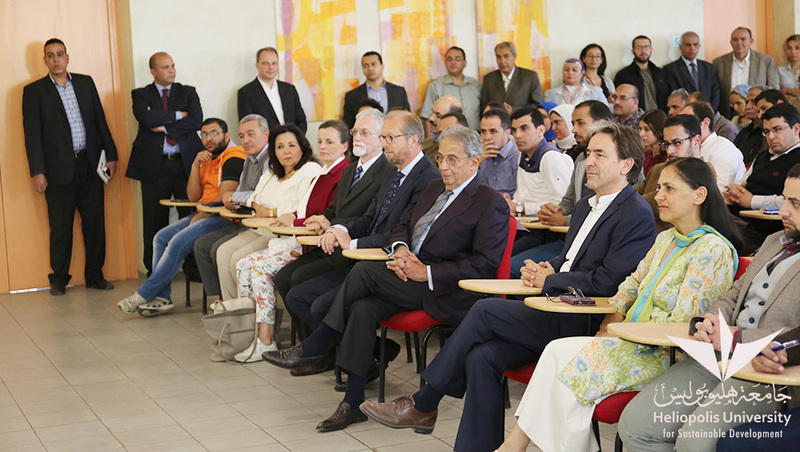 He also mentioned that the university’s philosophy is based on SEKEM Initiative that was founded by his father, Dr. Ibrahim Abouleish. 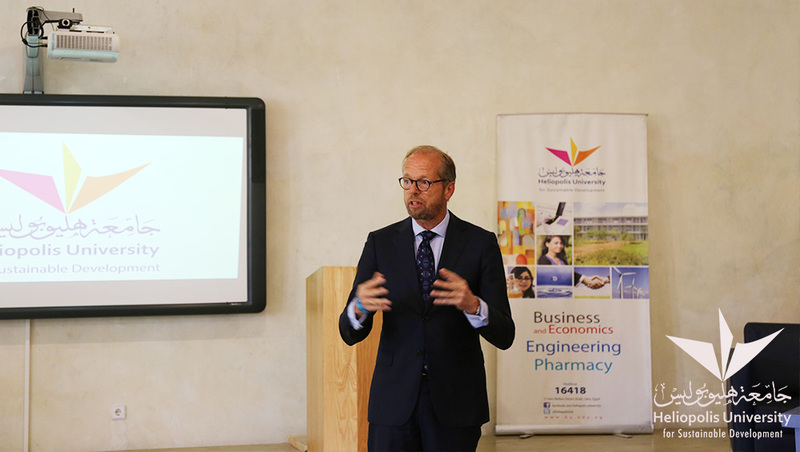 Then Dr. Cornelis Hulsman, the Academic Supervisor for Center for Arab West Understanding Internship Program introduced the center as the largest internship provider in Egypt. The Center encourages intercultural dialogue not only through internship programs, but also through academic publishing. It has recently published two books titled: “From Ruling to Opposition, Islamist Movements and Non-Islamist Groups in Egypt,” and “The 2014 Egyptian Constitution Perspectives from Egypt.” Both books present divergent perspectives about social and political life in Egypt. After the presentation, Mr. Helmy Abouleish and Drs. 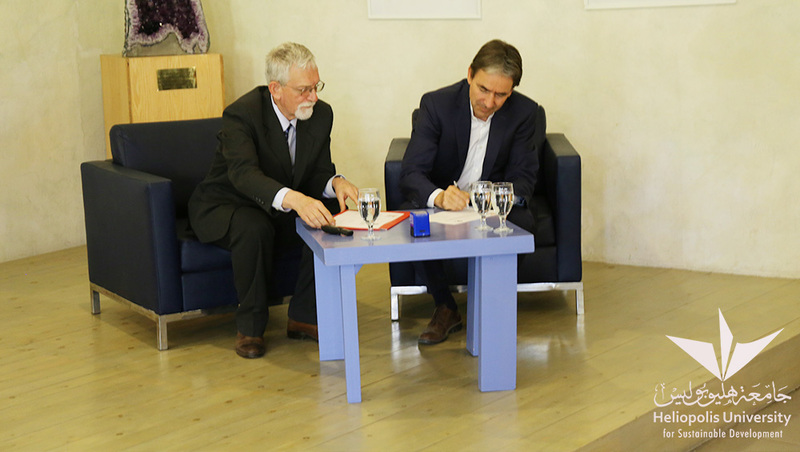 Cornelis Hulsman signed a Memorandum of Understanding between Heliopolis University and CAWU to enhance internship programs for Heliopolis University students. 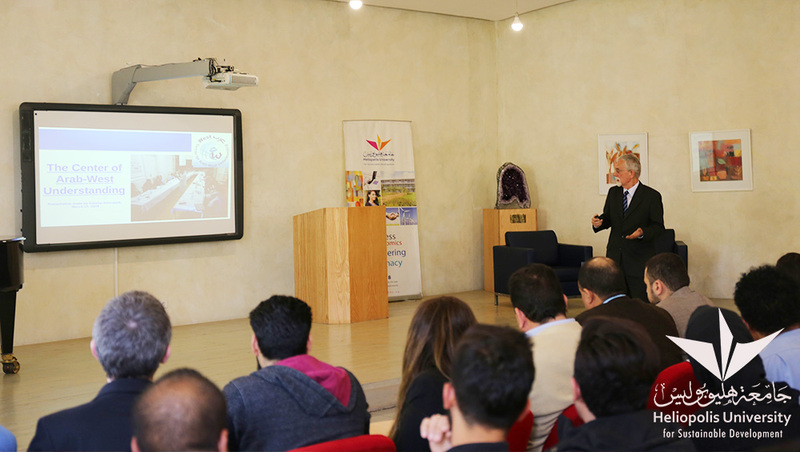 Then, the Dutch Ambassador emphasized that such initiatives and programs are extremely important as people from different cultures and religions will meet and talk. Students will go back to their countries telling true stories about Egypt; they will be ambassadors of peace. 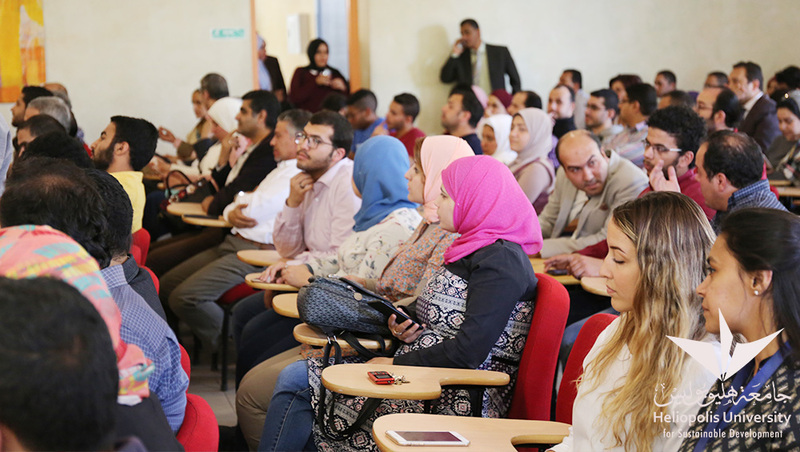 Finally, in an open discussion with the university students, HE Moussa said that he believes that the young generations will make wonders for the future in Egypt. Despite the difficulties we face and problems we inherited, Egypt through its constitution will play an active role in connecting with other nations.